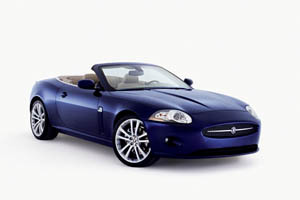 Jaguar North America today announces the Manufacturer's Suggested Retail Prices (MSRP) for the all-new 2007 XK Coupe and Convertible. "The 2007 XK is a significant new sports car from Jaguar," says CJ O'Donnell, executive vice president Sales and Marketing, Jaguar North America. "It represents the very best in terms of modern engineering coupled with exquisite Jaguar design and we're confident the all-new XK will attract a very loyal following in North America ." The launch of the all-new Jaguar XK marks an exciting new era for Jaguar in terms of both design and engineering, and reinforces the marque’s reputation for building beautiful, fast cars that are as rewarding to drive as they are gorgeous to look at.